2019 Annual Consultants' Conference Brochure now! Announcing the NACVA Mobile App—Your centralized hub for NACVA resources! NACVA's Certified Valuation Analyst® (CVA®) designation is the only valuation credential accredited by the National Commission for Certifying Agencies (NCCA). NACVA's Practice Support Headquarters (PSH) is a place where NACVA members can find answers and solutions to all your questions and challenges. Visit PracticeSupportHQ.com today. To find NACVA Members and Certificants Specializing in Business Valuation and Financial Forensics, click here. 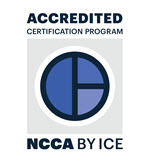 The National Association of Certified Valuators and Analysts (NACVA) supports the users of business and intangible asset valuation services and financial litigation services, including damages determinations of all kinds and fraud detection and prevention, by training and certifying financial professionals in these disciplines. © 1996–2019 by National Association of Certified Valuators and Analysts® (NACVA®).